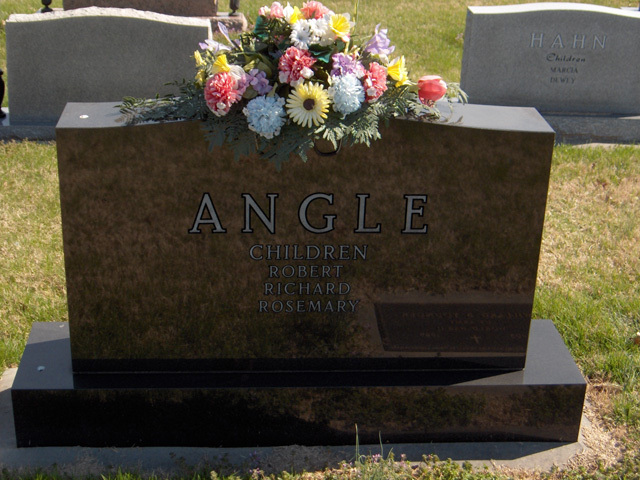 Cleo Angle age 97, of Marble Hill, MO; passed away on Saturday, January 17, 2015. She was born July 5, 1917 in Scopus, MO; daughter of Columbus E. and Dottie Estes Lincoln. 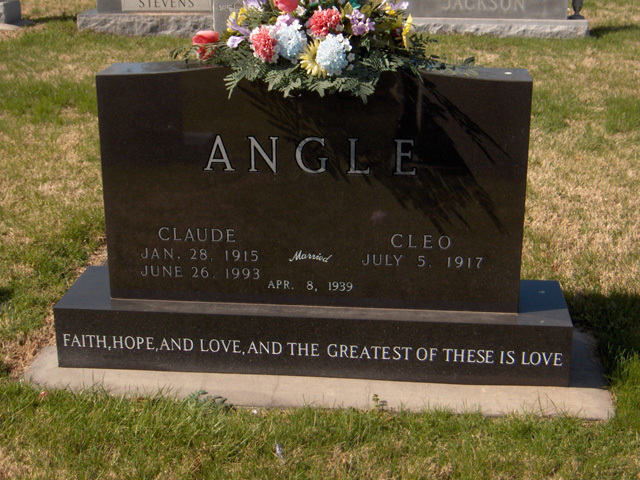 She married Claude Angle on April 8, 1939 and he passed away on June 6, 1993. Cleo was a lifelong member of the Little Whitewater Baptist Church. Cleo loved her home and always enjoyed taking care of her animals, especially her cats. Survivors include: sons Robert Angle of St. Louis, Richard Angle of Greeley, CO; daughter Rosemary Reinkemeyer of Sedgewickville; brother James Lincoln of Scopus, MO eight grandchildren, ten great-grandchildren and two great-great-grandchildren. She was preceded in death by her parents, brother Jimmy Lincoln and sister Clodine Slinkard. Visitation will be Monday, January 19, 2015 from 4:00 to 8:00 PM at the Liley Funeral Home in Marble Hill. Funeral Services will be Tuesday at 2:00 PM at the Funeral Home with the Rev. Don Estes officiating. Burial will follow in the Bollinger County Memorial Park Cemetery near Marble Hill, MO.